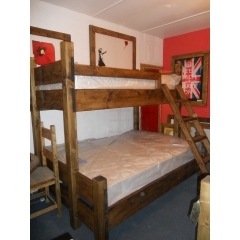 Fun and sturdy beds handcrafted to keep kids happy, made in Nottingham and provided in oak, teak, mahogany and teak. 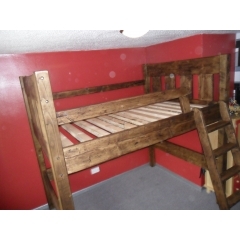 Bunk Bed Single Our hand crafted, hand finished wooden cabin bed, b.. 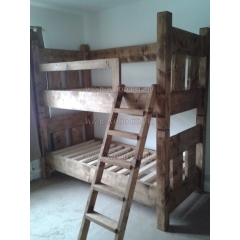 Single & Double Bunk Bed These superbly built wood beds can be made to any size you wis..
Our hand crafted, hand finished wooden cabin bed, bedspoke tables can be finis.. 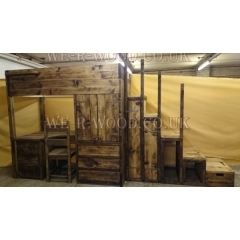 Single Oak Shed Children Bed finished in Tung Oil Sizes are : 2110mm H x 1090.. This Super Cabin Bed for the kids bedroom is hand made to suit your imagination and style, with..